Spread the Holiday cheer in your nursery with our Feliz Navidad Baby Hats! These specialty hats are two-ply for added heat retention and are sure to keep babies warm and comfortable during the winter months. 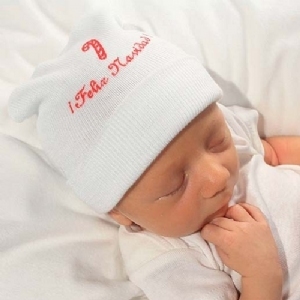 These newborn hospital hats make great keepsakes for new parents and add a special touch to Mother & Baby Kits during the holidays. 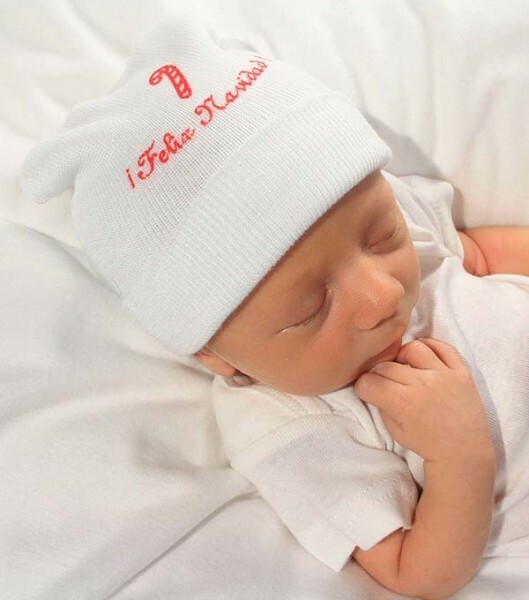 Our deluxe hospital baby hat is screen printed with "Feliz Navidad"
Two-Ply for added heat rentention!